Endometriosis, defined as the presence of endometrial tissue outside the uterus, is an estrogen-dependent disease which causes pelvic pain and subfertility in women of reproductive age. The condition has a dramatic impact on the professional, social and marital life of sufferers. 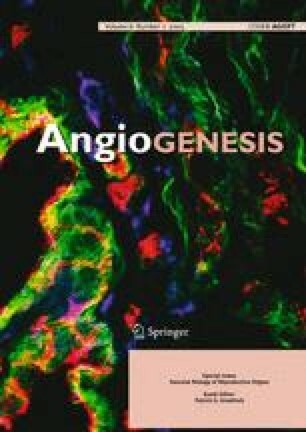 Direct and indirect evidence suggests that angiogenesis is required for the development and persistence of endometriosis. In this review the state-of-the-art with regard to our understanding of the role of angiogenesis in the ectopic implantation and survival of menstrual endometrial tissue will be discussed.